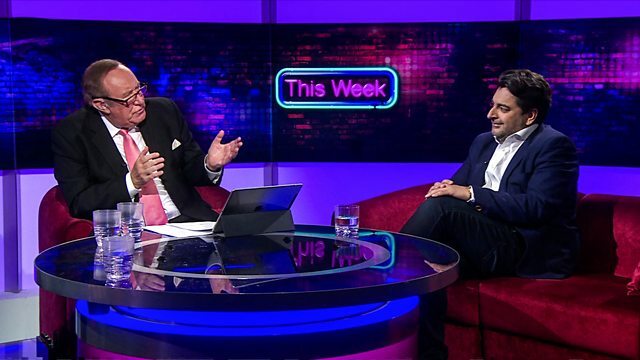 Andrew Neil reviews the political week with Michael Portillo, Ed Balls and Miranda Green. Plus a film from Adrian Chiles, and guests Afshin Rattansi and Bettany Hughes. Andrew Neil reviews the political week with Michael Portillo, Ed Balls and Miranda Green, with a film looking back over the headlines from Adrian Chiles. Studio guests are Russia Today's Afshin Rattansi looking at claims the Kremlin interfered with the Brexit referendum, US election and Catalonia's attempt to break away from Spain, while Bettany Hughes puts body image in the spotlight. Is the Kremlin interfering in foreign politics? Why are we so concerned about body image?